We welcome your telephone calls and emails. For our ‘Club Piloto’ members only, it is always necessary that you contact us direct or any reservation or club event. If reservations are made at our on-line site you probably will find there’s no room at the Inn. We often block several, or all, rooms and suites for our pilots. Also, if you book through an agency, or our on-line site, you will be required to pay our regular rates. 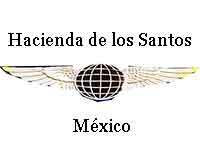 For reservations you may call our office in Mexico, with the following number (011-52-647-428-0222). Within Mexico (01-647-428-0222, if busy, 0217) between the hours of 9:00 a.m. and 4:00 p.m.. Also, you may contact ‘Capitan’ Jim at his personal email, Jim Swickard at jnswick@aol.com.